Today I have swatches from Chirality Polish‘s newest collection “El Amor de mi Vida” (translation: “The Love of my Life”) I am very excited about this post and you will soon see why! This collection consists of five magical holographic polishes and is releasing this Saturday, January 31st! All swatches are two coats with top coat. Let’s get this show started, shall we? 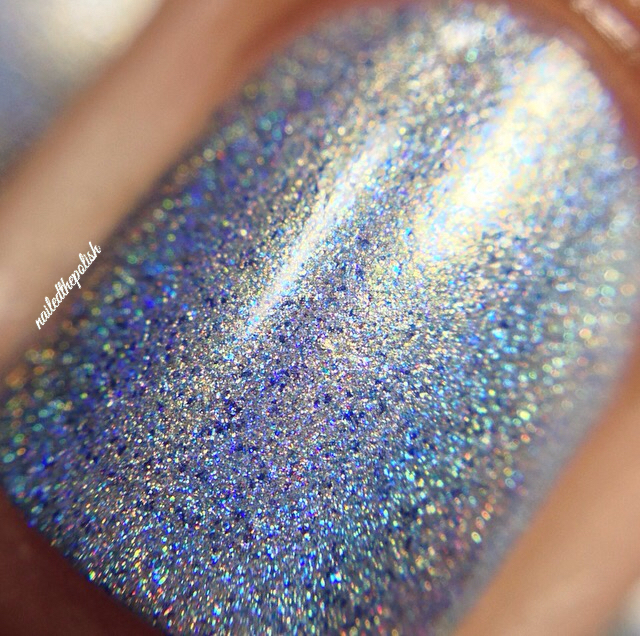 Estoy Loco Por Ti is a beautiful pale blue holographic polish with blue shimmers and specks. I love how soft yet intense this polish is! There is also a hint of gold shimmer which you can see in the macro and brush shots. 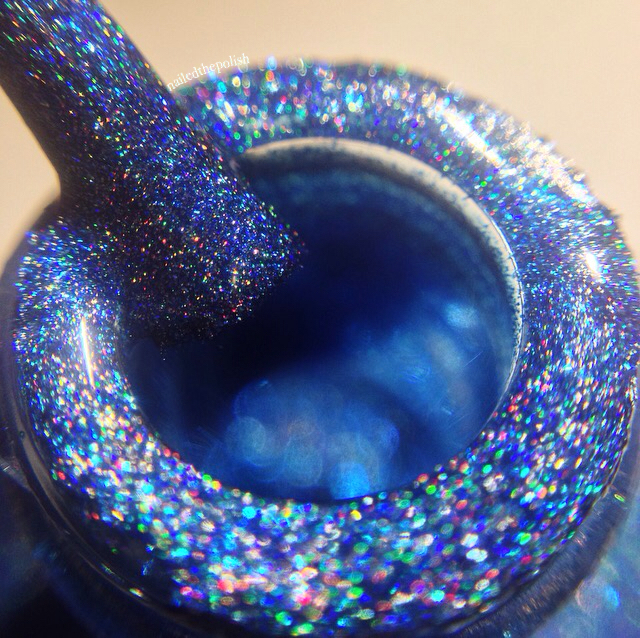 Cariño is a vibrant blue holographic polish and is the brightest from the collection. 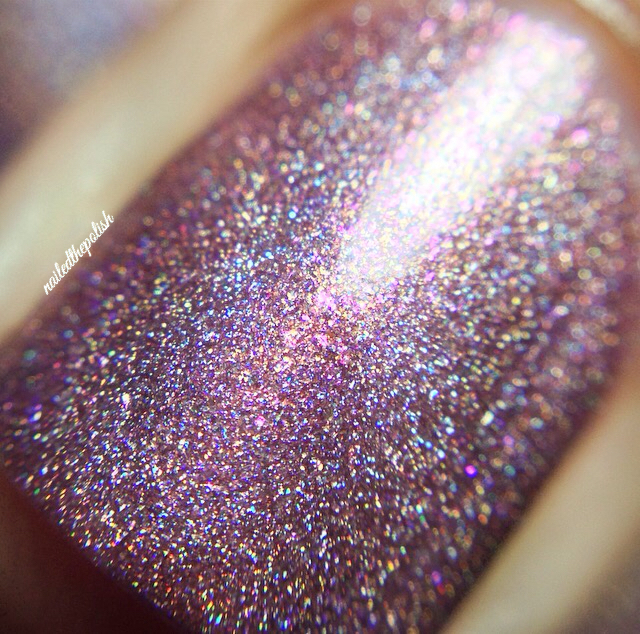 The holo is so intense that it can be seen in any type of lighting. 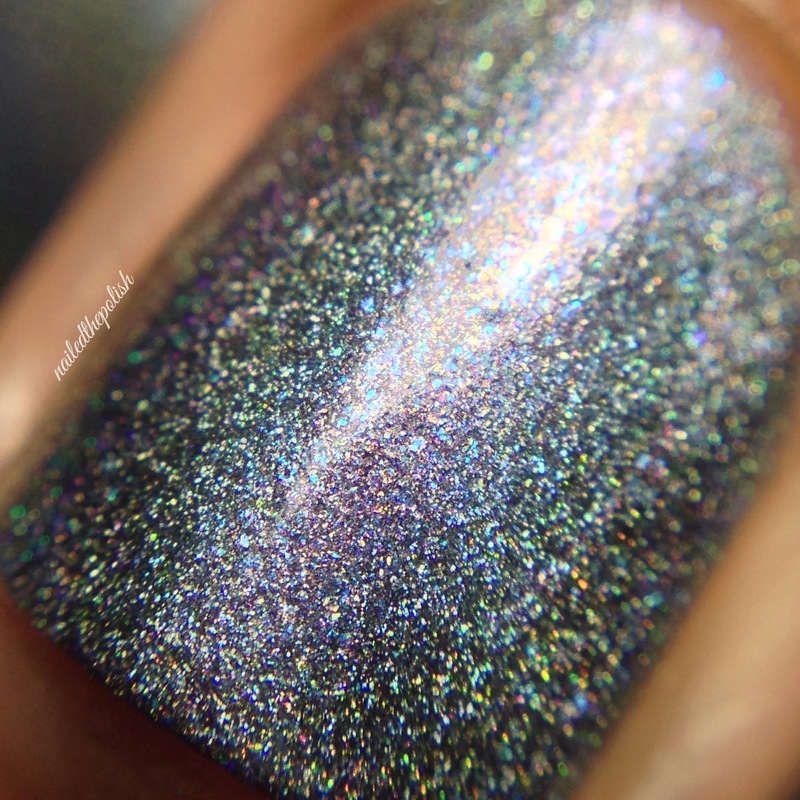 I LOVE holo polishes so of course I quickly fell in love with this one. ¿Oye Chula? 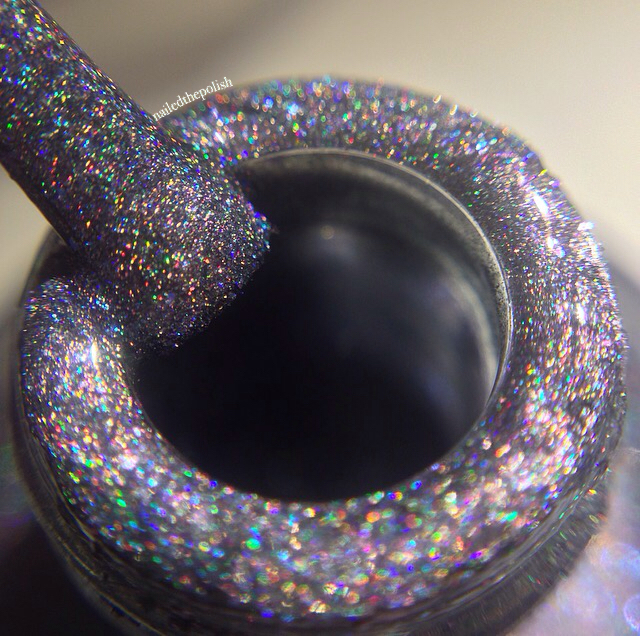 is a gray holographic polish with pink and blue flakes. 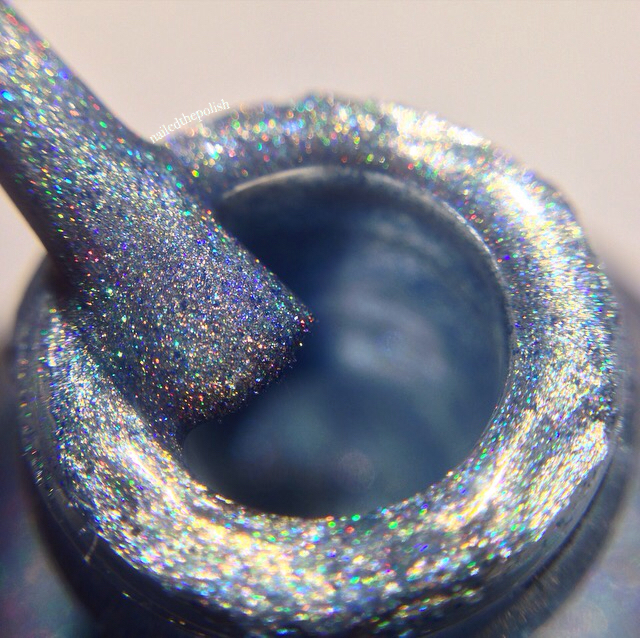 This polish is just… so… beautiful, stunning, unique… it’s perfect! This baby had me gasping, “ooh”-ing, and “aah”-ing all at once! Total #nailgasm! 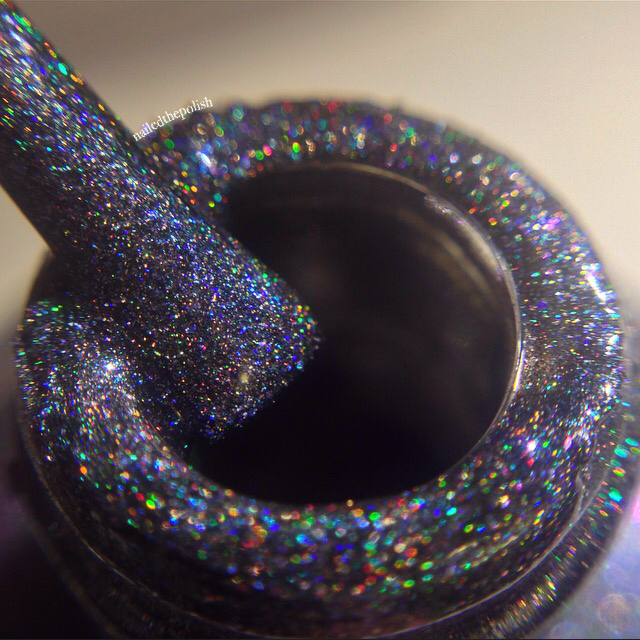 The macro truly shows how wonderfully magical this polish is. 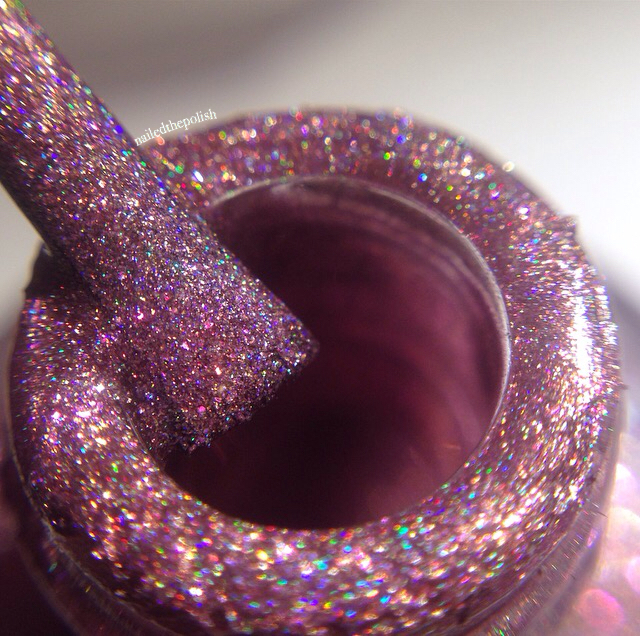 Mamacita Rica is a light coppery rose holographic polish with gold shimmer and pink flakes. I think this shade is wonderful for Valentine’s Day but of course is great for any time of the year. 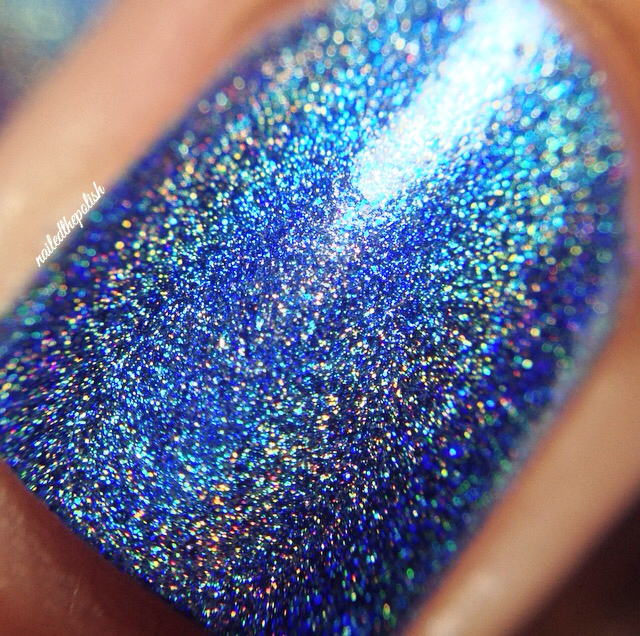 This is another polish that is very complex and the macro really emphasizes that. The last polish in this stunning collection is Hablé de Ti – a black holographic polish with the same blue and pink flakes as ¿Oye Chula?. 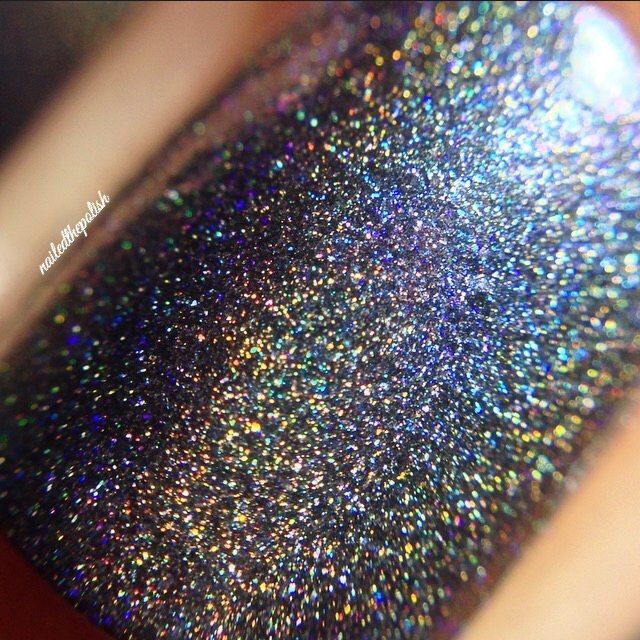 I own a few black holographic polishes and none compare to this beauty. The added shimmers transform this polish into something entirely different that makes this a must have polish! I cannot get enough of these polishes! Color, application, consistency, finish – all wonderful. This collection is named perfectly because I am still drooling over each polish. I am literally having the biggest internal struggle picking my favorite – If I absolutely HAD to pick one, it would be ¿Oye Chula? just because it is so unique! This collection will be available on both their Big Cartel and Etsy online stores. It will be sold in both full and mini sizes however the mini size will only be available on Big Cartel. Check out their Facebook and Instagram pages for more swatches of this gorgeous collection!